* Total number of reviews and star-ratings are based on data collected during the time period Gordon Water Systems - Kalamazoo has been using the ReviewBuzz system and may not directly match the data found on each public review site. John was off the hook. John is a very nice service tech. Professional, considerate and polite. It is nothing you need to worry when he works at your home. Tony was prompt, efficient, hard working, and experienced. he wore his booties in the house and was very careful to clean up after himself. he was a pleasure to have as a tech and we welcome him again. John W serviced our water softener and was very professional and knowledgeable. John went above and beyond and helped more then expected. Very nice man. The project went great! Brendan fixed the problem in no time I would hire Gordons Water Systems again. John Weir was very professional, meticulous & thorough. He made sure my questions were answered and that I understand the work he had done. 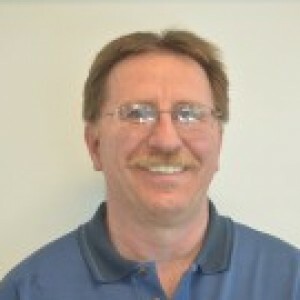 Tony K was very knowledgeable and helpful when working on our water softener. He goes above and beyond. Very friendly and professional. He was a great service tech, smart, explained what he was doing, and fixed the problem! Thank you!! john was promptly on time and did some extra troubleshooting before he found my problem. recently after buying a water softener I experienced low flow in my upstairs sink. He took the sink apart and found debris and problem fixed. He is also a very nice guy. Alan has been servicing our account for years. Always helpful and friendly. Right now he is training our new driver Chye and everything is going great. Thanks for the great service. Alan and trainee Chye were very friendly and approachable. Always willing to help when needed. Thank you! John was very professional and answered all my questions satisfactorily. Also explained what he was doing and why he was doing it. He offered a couple of solutions to the problem which were beyond his scope that I could pursue. John W. was very friendly and knowledgeable. He explained things in a way that I was easily able to understand, which I greatly appreciated! Would definitely recommend! Great job. Above and beyond the ordinary. We LOVE Mo! Our water needs fluctuate and he always makes sure we're stocked. His friendly smile and upbeat attitude are appreciated every time he delivers. John was great. He was professional and answered all of our questions. Customer service is always a top priority at Gordon Water Systems - Kalamazoo. Our BBB Membership A+ rating is like a badge of honor as we continuously strive to provide the best experience for our clients. Tony K has a 5-Star rating and leads the company in total reviews, making this pro a ReviewBuzz Rockstar! Tony's work background includes painting cars, manufacturing weight/rehab equipment & for the last 14 years installing/servicing water equipment. He loves being able to help people with their water issues. He loves to golf, bowl, base/soft ball, drag/nascar racing. He has 6 sisters & 2 brothers. Tony is a very knowledgeable serviceman, has a technical knowledge of the equipment. He is very sure of his way of testing for problems and and how to remedy. Very polite and interesting to be with. Tony was very professional knowledgeable He assisted us in figuring out how to best address our problem with iron. I would highly recommend Gordon Water. TOny was great, very knowledgable and professional. you have a great employee! Tony arrived early for our appointment window (after calling to make sure early was ok). He discussed our "issue" with our RO system and replaced the storage tank that was no longer working up to requirements. Additionally, he replaced our RO filters and then checked our water softener system as well. Pleasant, timely, and courteous. Couldn't ask for more that that. I got a whole lot of information from Tony and that’s when he talked to me about the pros and cons about our old system and then the new systems that we could get and like I said it was really clear that it was time to get a new softener. I was really impressed by how much he thought outside the box and so when he said we shouldn’t put more money into the old one, we had the confidence that we had really considered all our options so we felt good getting the upgrade. We’ve been very happy since! Second time Tony has been to our home.Very knowledgable and friendly.A asset to your company. Tony was great and very knowledgeable! Tony K. Worked on our water system today. He gave us several options, listened to our concerns, and explained thoroughly what was happening,. We felt he had excellent knowledge of the system and a very good work ethic. It was a pleasure to meet him and we would recommend Tony and Gordon's to anyone. Job well done! Tony K from Gordon Water was excellent. Informed well on the new system, personable and worked clean. Tony is very professional and knowledgeable- gave us very good advice regarding our system and maintenance. Excellent and courteous service call. Tony was very courteous, quite knowledgeable of my house water situation, offered solution that was tremendously helpful. The job was done in good order, and I'll request going forward that he be our main Tech, unless he is on vacation. Thanks. Efficient, fixed some problems from a previous install, explained the system, cleaned-up after the project was finished. Tony was very professional and knowledgeable. Left job site cleaner that when he found it. Tony K. came for our appointed 3-5 pm window at nearly 5 pm. I had asked for a technician to reinstall our under the sink water filter which was removed prior to our kitchen remodel. Tony quickly completed the work after asking appropriate questions about placement, etc. I also asked Tony if he was able to take time to perform routine maintenance on our 15 yr old water conditioner. I indicated that it did not seem to be functioning properly. He conducted a water test and confirmed that the conditioner was not performing as efficiently as it should. He removed and cleaned the prefilter and inspected the parts for wear. He replaced worn o rings which had been leaking which I hadn't noticed until he showed me the water on the floor. He told me the reason for the conditioner not operating efficiently and described step for step what I would need to do to remedy the problem. Tony answered all my questions with well informed and knowledgeable answers. Excellent service. Friendly, informed, thorough. Tony asked the right questions of us in order to do what was needed not just what we had requested. Tony was great and took a lot of time to educate me on the system that we purchased with the house as well as get it running.